In previous articles we’ve discussed different certifications that brokers can possess, and we’ve also offered many profiles of our team here at Apex. But sometimes sellers can forget that there’s a “good fit” process to our work here as well. We’re looking for the right type of sellers, not just anyone with a business and desire to cash out. Below are a few things we look for when meeting sellers we consider representing. There are many factors that influence whether a business will sell. The first, and most important, is proper pricing, which often comes through a professional valuation. Many times we find that a business is overpriced, not just because of unrealistic ideas from sellers about what they are “entitled” to, but because the financial statements feature too many owner benefits that need to be accounted for in a different manner. There are also other factors, like market conditions and the availability of financing that corresponds with those conditions. But suffice to say that it’s very rare that we find a business with a reasonable chance of sale that doesn’t sell in a reasonable time. Part of being a successful seller means knowing how much your business will sell for and how long it might take. But another part of being successful is being committed to the work. There are so many things that go into pulling off a successful sale, but at the heart of it all is communication. Successful sellers don’t disappear for days at a time, or leave emails with a lot of “to-dos” sitting in their inbox. Sellers know that businesses don’t sell themselves and that even mildly interested parties will want a fair bit of information. They don’t assume that a broker is working “for” them as an employee, but rather “with” them as a very experienced colleague who has been to this dance many times before. Perhaps most importantly, they have the humility to say “I don’t know” or communicate fears and challenges that they have. We can’t help or fix what we don’t know about. As we’ve said before, we have literally decades of experience selling hundreds of businesses in our office. While we may not have sold your specific type of business before (though that’s pretty unlikely), we’ve certainly sold the same size in revenue, or dealt with that industry, or have a list of qualified buyers who have told us to contact them the next time such-and-such a type of business in a certain price range comes up. We have the right brokers to fit your every need. We as brokers are looking for these good fits ourselves, as we know that will make a sale not only easier, but more enjoyable. If you’re committed to selling your business and have a realistic sense of what it can go for (or would like to find out), give us a call. We’d love to help. Every business sale is a minor miracle. Just as the skydiver gently times his pirouettes and turns in his parachute to land precisely within the giant X of his landing zone, so too do all parties aim at completing what needs to be done from the time an LOI is signed to the date a deal is set to close. Think about all the people involved. The seller has been given a great deal of paperwork to complete for the buyer’s due diligence. If he/she has been preparing well to sell a business, this may simply be a matter of looking things up and filling in blanks. Loan committees don’t meet every day. They meet every couple weeks – sometimes more frequently, sometimes less, but at those meetings, the banker representing you needs to have a substantial amount of paperwork in order to represent you well. And who is going to get all that paperwork done? You, the buyer. The seller and the buyer will both be working with attorneys in order to make sure deal points are handled in a thoughtful and diplomatic way so as to preserve amity and keep the process moving forward. These meetings may be contingent on items mentioned above. Did we mention paperwork? This is all to say that if everyone is aiming towards a date, and then there’s suddenly a delay, it’s a lot like a sudden stop in traffic when you’re driving a car. Your muscles tighten up and your senses are on high alert. In the case of a closing sale delay, the question immediately posed is: Why is there a delay? If you don’t have a good answer to this question, a deal could go away. Why? Here at Apex we always ask you to keep your lines of communication open with us. Whatever is on your mind throughout the process feel free to share. We want to cross that closing date finish line with you, so you can move on to what’s next! https://www.kcapex.com/wp-content/uploads/2017/01/delay.jpg 600 800 Apex Business Advisors http://www.kcapex.com/wp-content/uploads/2015/06/ApexBusinessAdvisorsLogo-216x130.png Apex Business Advisors2017-01-11 08:57:092017-02-07 14:58:59With Delays, Deals Die. It’s time to start planning and budgeting for 2017 – and that includes tax strategies. 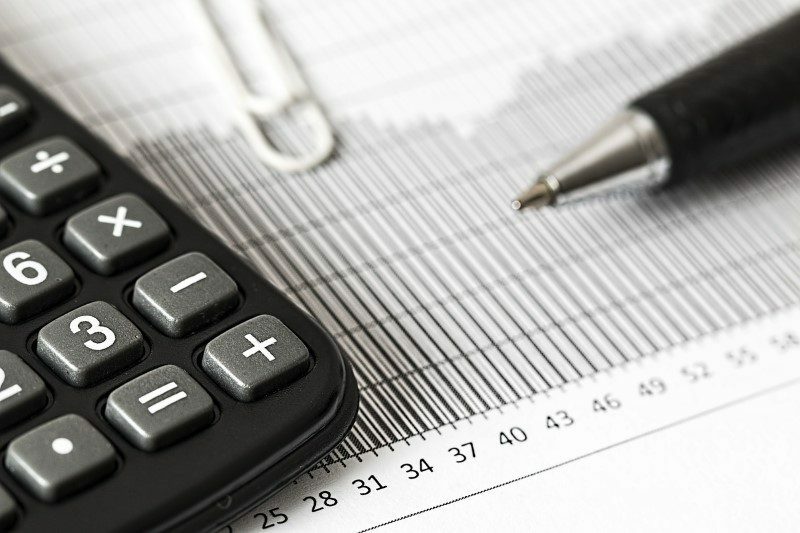 While tax planning is one of the more confounding aspects of the business owner’s job, it also presents opportunities for improving your cash flow and profitability. We ran across a good article on this topic and thought our readers would appreciate it, too. It covers some predictions for tax changes under the new federal administration, along with tips for maximizing your deductions – both personal and business. We hope you find it enlightening. The article comes from HSMC Orizon, a CPA, business and technology consulting company. They have a lot of experience and a good handle on tax issues affecting business owners. We’ve networked personally with Chairman Gary Hawkins, CPA, CGMA. One important tip on this topic: When working with your CPA on year-end wrap-up activities and planning for 2017, be honest. Disclose everything that’s going on in your business – both good and bad. Your CPA can be a strong partner in enhancing the value of your business and keeping your books straight. Both are important for ongoing management and will serve you well when you’re ready to sell. If you or someone you know is interested in buying or selling a business, please call us at 913-383-2671 or contact one of our Apex Business Advisors today! Are you looking to sell your business but hesitating to sign an agreement with a business broker? Thinking about sharing your business opportunity with multiple brokers? If so, you may want to hear our perspective about the value of an exclusive engagement agreement. You want your broker to work hard for you. If you try to sell your business through multiple brokers, how much effort can you expect? Why would a broker put great effort and investment into preparing a marketing package and expending resources on your deal when he stands a good chance of losing it to another broker? You want to protect your confidentiality. Asking multiple brokers to work on your sale almost guarantees a breach of information about the particulars of your business. Because there’s no commitment on the part of the seller, the brokers may become more flexible about the information they’re willing to share. The brokers will be talking to the same set of potential buyers, and they may be more interested in satisfying the needs of the buyer rather than the seller. You’d like to maintain the value of your business. Having multiple brokers working on your behalf with the same buyers could signify some desperation or lack of motivation. In either case, the buyers will not perceive it positively and will most likely show a reluctance to engage. If someone saw the same business on the web from three different advisors or received direct calls from them, they would be really curious about the circumstances and would probably approach the opportunity with much more skepticism. You want a broker with experience. Ask yourself why a broker may be willing to work without an exclusive agreement. Could it be inexperience, a poor record or desperation for business? 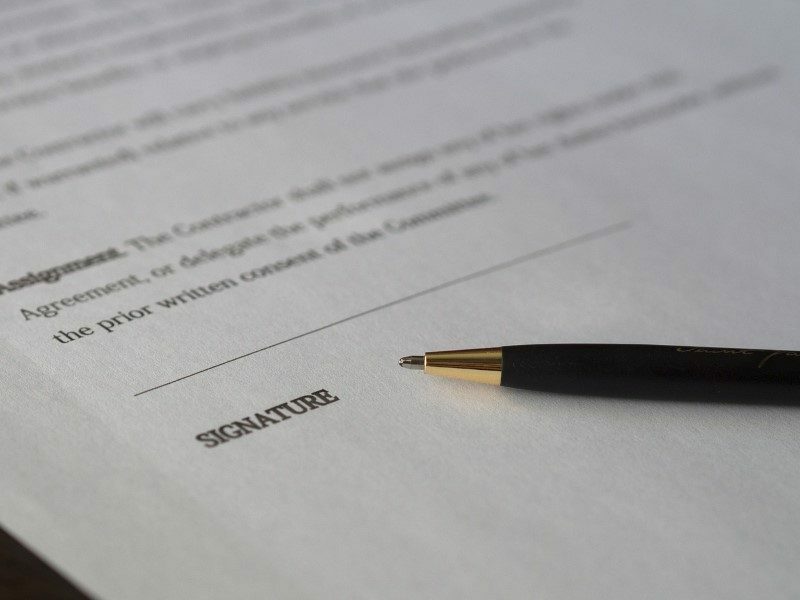 An exclusive engagement agreement protects both the buyer and the seller. It sets expectations and establishes a mutually beneficial relationship. Our agreements typically cover one year because the average time to sell a business is around nine months. Your broker will invest a lot in helping you sell – from assisting you with positioning/marketing your business and finding potential buyers, to qualifying them, helping you negotiate the deal, and working with bankers, accountants and attorneys to get the deal to closing. Do your research. Look at the broker’s current listings, past activity and testimonials from happy buyers and sellers. Ask for references from accountants, lawyers and other professionals with whom they’ve worked. Agree on the services your broker will provide and clarify your expectations about regular progress reports – by email, phone or in-person meetings. Be patient. But if you’re not seeing the effort you expect, speak up early! Open and honest communication is always best. If you haven’t met a single qualified buyer after a few months, you’ll want to regroup. Reassess the pricing, look at feedback from potential buyers and discuss adjustments with your broker. When you’ve established a trusting, clear agreement at the start, these conversations should be comfortable for both you and your broker. As a business owner, you may be tempted to avoid paying yourself a conventional salary. After all, payroll is an extra expense, right? Who needs those employment, Social Security and Medicare taxes? Plus, the bottom line will look a lot better if you don’t take a paycheck, correct? Not exactly. I’d like to take a few minutes to bust those myths and ask you to consider the advantages of paying yourself a reasonable salary from your business. 1.You lose the opportunity for retirement savings and the associated tax deductions. If you don’t take a paycheck, you can’t take advantage of tax deferred retirement plans such as deferred comp, 401(k) or SEP accounts. That means you miss out on saving for retirement. Considering the power of compounding, skipping just a few years of retirement savings can put a big dent in your potential nest egg. 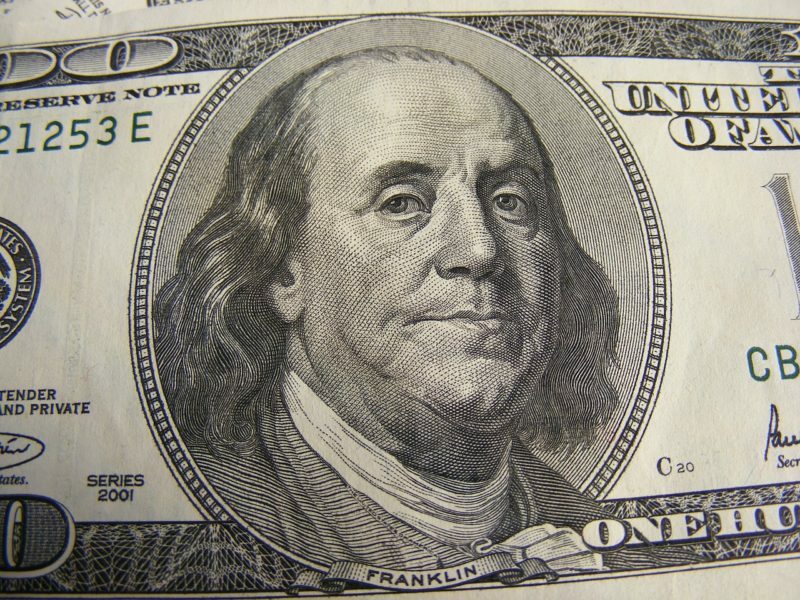 Foregoing a paycheck and retirement savings also means you may actually pay more taxes. 2.Your Social Security payments will suffer. If you don’t take a salary or take too little, you could be reducing the amount of your Social Security benefit. According to Investopedia, your benefit is based on your highest 35 years of earnings. If you don’t record income for at least 35 years, the formula inserts $0.0 for the missing years and indexes your benefit accordingly. 3.You could run into problems with the IRS. Paying yourself too little or not at all can also create problems with the IRS. The IRS expects you to pay yourself a reasonable salary for a person in your position. I’m a small business owner myself, so I understand how hard this decision can be. I worked with my financial advisor, Joe Pribula at Wells Fargo, to come up with a salary amount that made sense given the needs of my business, my family and my retirement goals. 4.You skew your business valuation. When you go to sell your business, your paycheck will factor into the company’s valuation. Most buyers will want to see how their personal income needs match with what the sellers’ salaries have been. And taking no salary or commingling your personal expenses with those of the business will confuse that picture significantly. Buyers and their bankers won’t understand why a seller wasn’t able to pay himself a salary when the business shows a consistent profit. They will see red flags instead. Believe me, you don’t want to be going backwards and trying to correct or adjust your books when it’s time to sell. Should You Sell to a Private Equity Group? 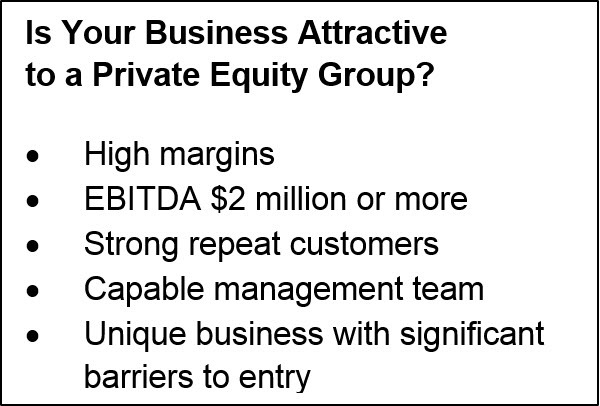 Private equity groups (PEGs) are always looking for good businesses to buy – ones that are ready to grow. They seek businesses that are successful but need an infusion of capital, expertise, scale or marketing to reach their full potential. Often, PEGs will purchase a large percentage of the business and ask the owner to maintain some ownership and stay involved in running the business. They’ll then seek to grow the business and possibly sell it again. That scenario sets you up for two paydays – one at the initial sale and another after you’ve grown and the private equity group either sells the business again or buys you out at a much higher value! That’s just one of many benefits when selling to a PEG. It may be right for you if your business is successful but stagnant – if you’re looking for help taking it to the next level. These buyers are good at what they do; they likely have other businesses like yours. Because they typically don’t want to get into the weeds, they often want you to continue leading for a time, while they add oversight and assistance in the areas where you’re lacking. In our experience, private equity investors are tough negotiators. However, they will offer a fair price, rarely paying a premium. They will require more time consuming due diligence – typically 90 days. They are in no hurry; they’ll look at 500 potential deals before choosing one. So they won’t hesitate to put you through your paces. To fund growth, these groups may require the business to do some cost cutting, layoffs, and other changes, which could make you uncomfortable. This is especially true if they own other businesses like yours and are looking for synergies. If you think your business may be attractive to a private equity group and you’re interested in selling, do some prep work (check out our post 6 Critical Factors That Make Businesses More (or Less) Attractive to Buyers). Talk with an advisor to understand your strengths and weaknesses. If you attract interest early on, don’t get greedy and assume you’ve set your price too low. You may not get a second group interested. As you begin negotiations, make yourself available, and work on building a relationship with the potential buyers. You’re likely to be working with them for some time, so you’ll benefit by getting off to a good start. https://www.kcapex.com/wp-content/uploads/2016/09/PrivateEquity.jpg 406 600 Apex Business Advisors http://www.kcapex.com/wp-content/uploads/2015/06/ApexBusinessAdvisorsLogo-216x130.png Apex Business Advisors2016-09-21 14:21:372017-01-18 12:12:45Should You Sell to a Private Equity Group? When you’re ready to sell your business, you may feel like you’re putting your very self out to bid. So it’s natural to feel offended if a buyer submits an offer that shows he doesn’t value your business as highly as you do. 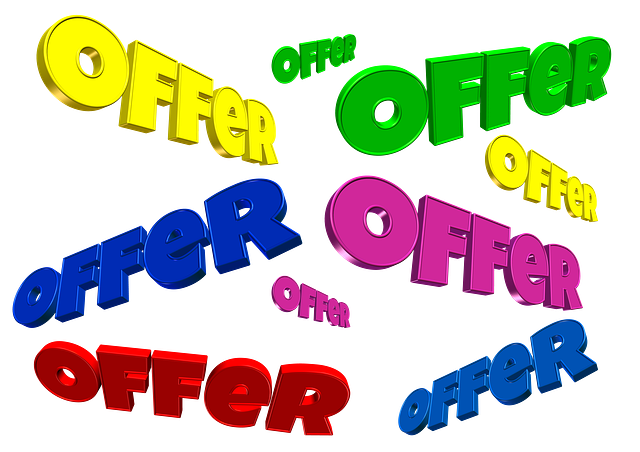 But we’d like to help you see that nearly every offer you receive is worth considering. Remember, most buyers are feeling pretty vulnerable, too. Many are putting their life savings on the line to buy your business. First of all, you need to trust your broker to price your business competitively and only bring you deals that are worth considering. We rarely meet buyers who are trying to take advantage of a seller. If we do, we probably won’t even ask you to consider the offer. Remember, we represent you as the seller, so we always keep your best interest in mind. As a general rule, we won’t consider an offer that’s less than 75% of the asking price. That’s a simple matter of our credibility and trustworthiness. If we do get a serious offer under that threshold, we might do some research to find out where the potential buyer is coming from. Does she know something about the business that we failed to uncover during our due diligence? That’s rare, but we do try to consider all the possibilities. How long has the business been on the market, and how quickly do you need to get out? If you’ve been on the market for more than a year, you might consider taking a lower offer. What can you do to lower the price? For example, can you remove some assets – such as older inventory or equipment – and sell them separately? What elements of the deal can you negotiate? Financing part of the purchase for the buyer may get you a better price, but bank financing and cash at closing may be more appealing. Several years ago, we were working with a seller whose asking price was $1.8 million. He was offended by a solid offer for $1.2 million and turned it down. Six months later, he shuttered the business. He would have been lucky at that point to get $100,000 for the inventory. Another client priced his medical services business at $15 million and walked away from multiple early offers in the $11 million to $12 million range. A few years later, he sold for just $4 million. Recently, we were helping a seller who wanted $1.1 million for his business and real estate. After two and a-half years on the market, the best bid he got was $400,000. He desperately needed to pay the bank and settle some other debts, so we all worked together and got creative. The buyer, the seller, the bank and Apex all gave a bit to make the deal work. And the proof is in the pudding. We’re still friends with the buyer and the seller today. 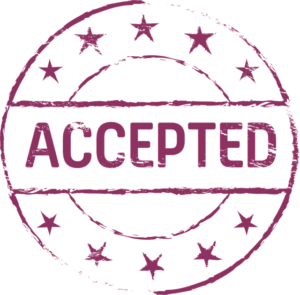 The buyer has approached us about additional deals, and the seller has given us two referrals. This is a business transaction; try not to get emotional or take things too personally. Even if you get upset, keep the lines of communication open. Discuss every offer and consider why it was made the way it was. Finally, be sure to have difficult conversations face to face or at least by phone. Email and texting can quickly send you down the path of misinterpretation. Summer time is vacation time for many of us. But some business owners rarely take time off. Others go on vacation but call it a business trip and expense it to their company. As it turns out, your decisions about vacation can ruin the value of your business, making it very hard to sell for a fair price. 1.Exaggerating expenses. 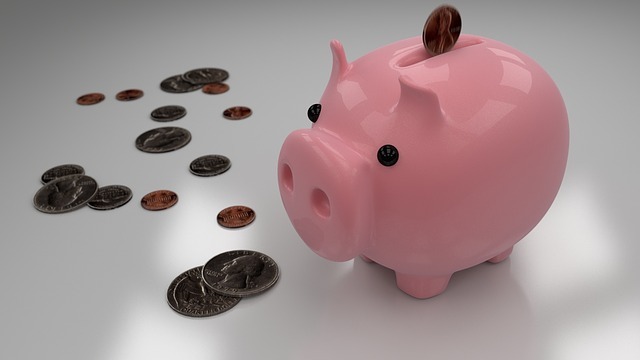 Are you using your business as a piggy bank? We often see business owners writing off their family trips as a business expense. That’s one way to fund a trip you can’t afford and get a tax write-off, too. But this type of practice can get you in trouble, inflating the expenses that show up on your P&L and reducing the net income of the business, making your performance look less than ideal. When bankers consider your business for a line of credit or a loan, they have to look at the numbers on your tax returns; they can’t consider the back-story you provide. If you’re charging personal costs to the business, your expenses will look higher and your margins will appear lower than those of your competitors. This kind of practice can even force a banker to call an existing loan. We’ve seen it happen. Excessive personal expenses made one client’s P&L look so bad that we couldn’t advertise his business for the price we needed. Now, he’s trying to go back and amend his books to show the actual expense figures. But his accountant is concerned the changes will inspire an audit. That’s not a good place to be when you’re looking to sell. 2.Not recognizing revenue to delay taxes. Have you ever gotten a chunk of revenue toward the end of the year and been tempted to report it the next year to delay the taxes? That’s another good way to ruin the value of your business. We had one client who moved a large payment from December to the next January. He definitely dodged some taxes for the current year. But that move threw off his financials, reducing the value of the business by $2 million. To make matters worse, he did this while a buyer was in discussions with him and the buyer had to reduce the amount he was willing to pay! 3.Concentrating on only a few customers. Having a large customer or two can give you a great short-term advantage, but it also presents a huge risk for a buyer. You may be allowing one or two customers to overly influence your business decisions. And the loss of just one customer could ruin your value. As a rule, it’s best not to allow any one customer to represent more than 25% of your revenue. 4.Skipping vacation. Do you find it impossible to take a real vacation from your work? Would the company fall apart if you weren’t there? These are signs your business is overly dependent on you – which means you’ll have a hard time selling it. When your success is too closely tied to one individual, it’s tough for someone else to take over. If you’re controlling most of the client relationships or your skills are the primary ones driving the business, you need to start delegating responsibility. A business whose owner never goes on vacation isn’t attractive to a potential buyer – not just because of the lifestyle factor but also because of the vulnerability. 5.Having no marketing presence: You don’t have to be a social media maven to manage your basic marketing presence. But you do need a visible, up-to-date website. Potential buyers want to be able to verify your public presence and do a little research on you. If they can’t find your website or your LinkedIn profile, they’ll wonder if you’re hiding something. All these factors affect your ability to build trust with a potential buyer. One or any combinations of these mistakes can make a buyer question the long term viability of the business and whether the business will provide a reasonable return. Owners need to focus on both the price of the business and the marketability of the business. To get a better price, the business needs to be widely attractive. If these value-reducing practices look familiar, now’s the time to begin reversing them. Making some changes will boost the value of your business – and maybe even let you schedule a little R&R! Six factors can make the difference between selling at a premium—or a discount. 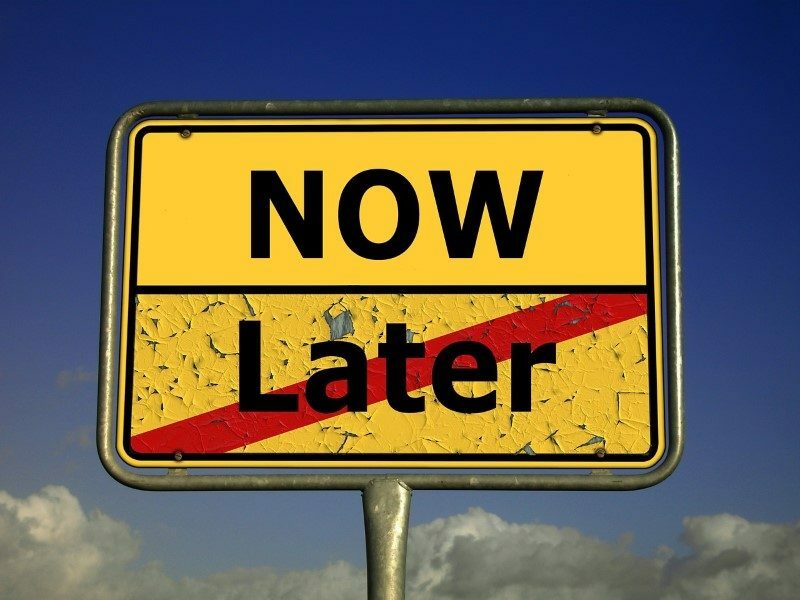 If you’ve decided to sell your business now or in the next few years, you might stop and ask yourself if anyone will want to buy your business. Seriously. Is your business going to be attractive to buyers? Will they value it as highly as you do? Is your baby ugly to everyone but you, or could it win a Beautiful Baby contest? Business owners are frequently unaware of what buyers value and are surprised when they go to sell and learn that their business isn’t ready or won’t bring the price they want. If you want to maximize value, then plan to sell. Few businesses are ready without preparation. Here’s a checklist of six key value drivers that make businesses more or less attractive to buyers. They make the difference between selling at a premium or a discount. How does your business measure up? Management and key people. Owner-centric businesses are more difficult to sell. Buyers prefer strong management teams or the next level of key employees to already be in place. Can you leave the business for extended periods of time without worrying that it will go off track? If your answer is anything but “yes,” it’s time for a change. Your employees can add value to your business. Are you treating them well and developing them appropriately? Customer concentration. Most buyers want to see a diverse customer base rather than a concentration of revenue from one or a handful of customers. What percentage of annual sales is attributable to your largest customer? Your largest five customers? For most industries, no one customer should represent more than 10 percent of revenue. There’s still time to register online! Systems and procedures. Buyers like to see systems and procedures that make the business easier to manage and transition. This includes manual, automated and information technology-based systems and procedures. Do you have written policies and procedures in place? Are employee roles and responsibilities defined in writing? Is your company’s information technology up to date? Sales and marketing. 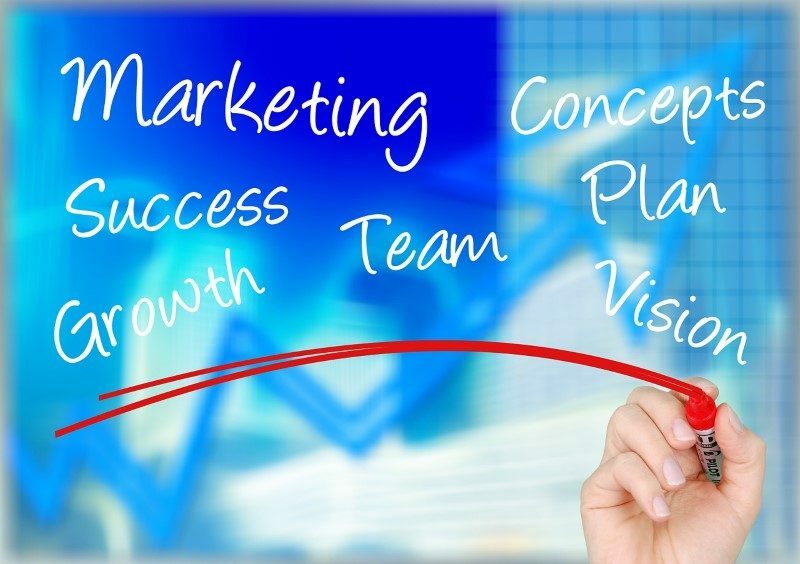 Sales and marketing should be delegated or outsourced and not dependent solely on the owner or founder. If you are still the face of the company and hold most or all of the customer relationships, this is an area that needs some work. Financial record keeping. Clear and accurate financials accurately tied to tax returns add value to a business. No kidding, folks—this one is really key. You can’t tell Uncle Sam that your business isn’t profitable or just barely breaks even and then expect a buyer to trust you that it’s truly very profitable. No earnings, no value. Revenue and earnings trends. Buyers and banks that finance buyers focus on historical trends over a three- to five-year period; increasing trends are obviously best. If revenue and earnings are in decline, you still might be able to sell the business, but be prepared for a smaller pool of interested buyers. Be able to explain the downward trends, and know that your business will likely sell at a discounted price. If you haven’t already begun, start to look at your business through the eyes of a prospective buyer. Run a SWOT analysis and work to strengthen your weaknesses and develop barriers to threats. Preserve your strengths and position yourself for opportunity. With a little forward planning, you can significantly increase the value of your business and the odds of a successful sale. If you aren’t sure how to start, connect to a knowledgeable business intermediary. 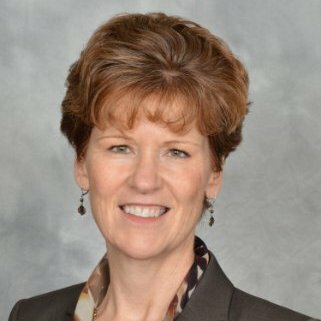 Valerie L. Vaughn is a certified business intermediary and a certified mergers and acquisitions professional with Apex Business Advisors. If you or someone you know is interested in buying or selling a business, please call us at 913-383-2671 or contact one of our Apex Business Advisors today! Are you starting to think about selling your business? Maybe you’re hoping 2016 is the year to make it happen. If so, there’s no time like now to get started on the process. Here are four things you can do to get started. If you’re selling a home, you think about curb appeal, right? If it doesn’t look good from the outside, you won’t attract any buyers. So you might give the front a fresh coat of paint, hang a wreath on the door and trim up the yard.You need to do the same for your business. How’s your website looking? What’s your social media presence? Does your location look nice from the street? If you don’t provide a positive first impression, you could turn a potential buyer off before he has a chance to look inside. Report your revenue and expenses accurately. Some small business owners under report revenue or inflate expenses to improve their tax situation. Those practices may save $5,000 or $10,000 in the short run, but they could affect the business value by $90,000 to $120,000.We talked with a seller the other day who was under-reporting revenue by $150,000 to $200,000 a year and was hoping to sell for around $3 million. We’ll be surprised if the seller is able to sell at all, given the inaccuracy of the books. Do you have equipment or other assets that don’t work or aren’t providing value to your business today?If so, sell them off before looking for a buyer. Streamlining your business will help buyers understand what’s really necessary to operate. Advisors typically charge just 10% of the deal, and they can vastly improve what you earn on your business. We recently talked to an owner who was so concerned about the cost of an advisor that he literally gave away a business and real estate worth $350,000!He left $315,000 on the table based simply on his fear of paying too much for help. Any advisor worth his or her salt will make the terms of the deal clear from the beginning, so you can make an informed decision about whether to engage. We often talk to sellers who think they’re ready but who are missing these important basics. When that happens, it can take several months to straighten out. 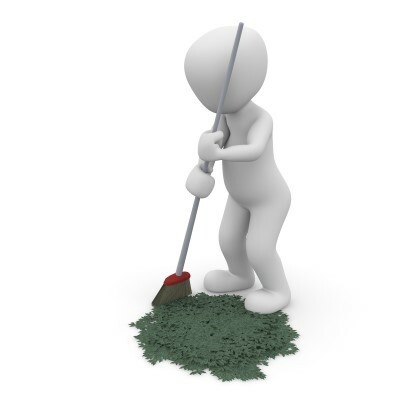 Best of luck with your spring cleaning and tax reporting!